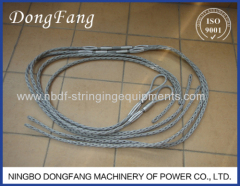 OPGW Stringing Equipment Tools are used for overhead transmission line optical ground wire cable installation. 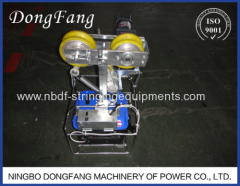 We have designed and manufactured whole set of equipment and tools for new transmission line OPGW installation or live line OPGW change work (re-conductoring work). 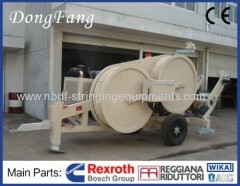 The mobile traction machine and hydraulic puller tensioner have been sold to more than 20 countries for OPGW new line and live line installation. 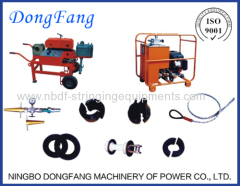 OPGW Stringing Equipment and Tools are used for overhead live line OPGW change old ground wire and installation operation. OPGW Puller Tensioner are used for overhead live line OPGW change old ground wire and installation operation on new transmission line. 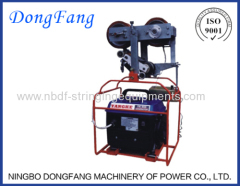 Mobile Traction Machine is used for running on existed ground wire or conductor, for reconductoring of new OPGW or conductor on old transmission line. 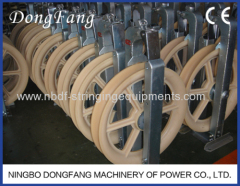 Optic fiber cable Blowing Machine is used for installation Communication Cable in the long distance pipe. 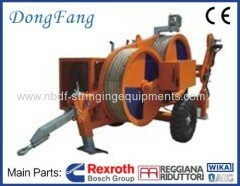 It is hydraulic driven machine. 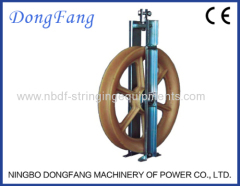 OPGW Stringing Blocks are used for support OPGW cable in installation or stringing of OPGW on overhead transmission line. It is made in Nylon or Alum. OPGW Come Along Clamps are used for holding the OPGW cable in the installation or stringing of OPGW on overhead transmission line. OPGW Socket Pulling Grips are used for pulling OPGW cable or earth wire in installation or stringing of OPGW or earth wire on overhead power line. Nuestro Cabrestantes- Frenadoras para instalaciones de OPGW cables Y conductores, con Mobile Tracion Machines, Recover rollers etc. Poleas para Tendido de Cables de Fibra Optica se aplicaran en la instalacion de cables aereos OPGW y ADSS. Las Materiales son Nylon o Aluminum Alloy. 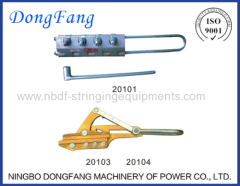 Group of OPGW Stringing Equipment Tools has been presented above, want more	OPGW Stringing Equipment Tools and OPGW Installation Equipment Tools, Please Contact Us.